We began, more than 20 years ago, with a small shop that produced lighting fixtures. Most of our customers were interior designers. Today, we design and build a wide variety of lighting fixtures, from indoor and outdoor lanterns, to chandeliers, standing lamps, wall sconces, and all sorts of special, one of a kind pieces. Our customers have grown to include homeowners, designers, architects, contractors, and business owners. What hasn't changed in all that time is the care and attention that we give to each lighting project. As always, our light fixtures are crafted with skill and precision. They meet safety and electrical standards for commercial and residential use, and they are built to last. 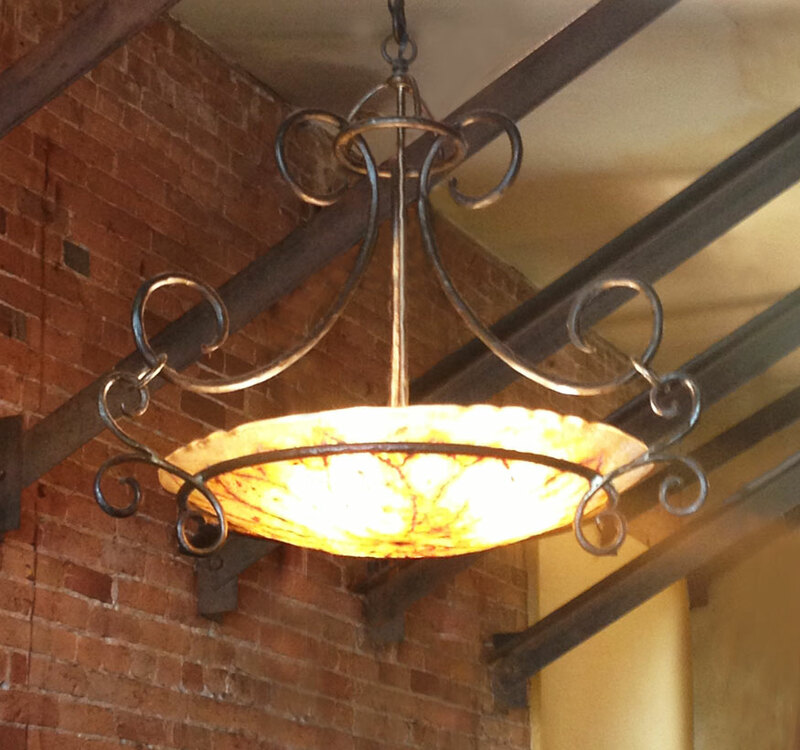 Whether you have an old lantern you'd like to have restored, have a picture of an antique fixture you'd like to have made, or a new original design, Ironwood Designs is the place to bring it. 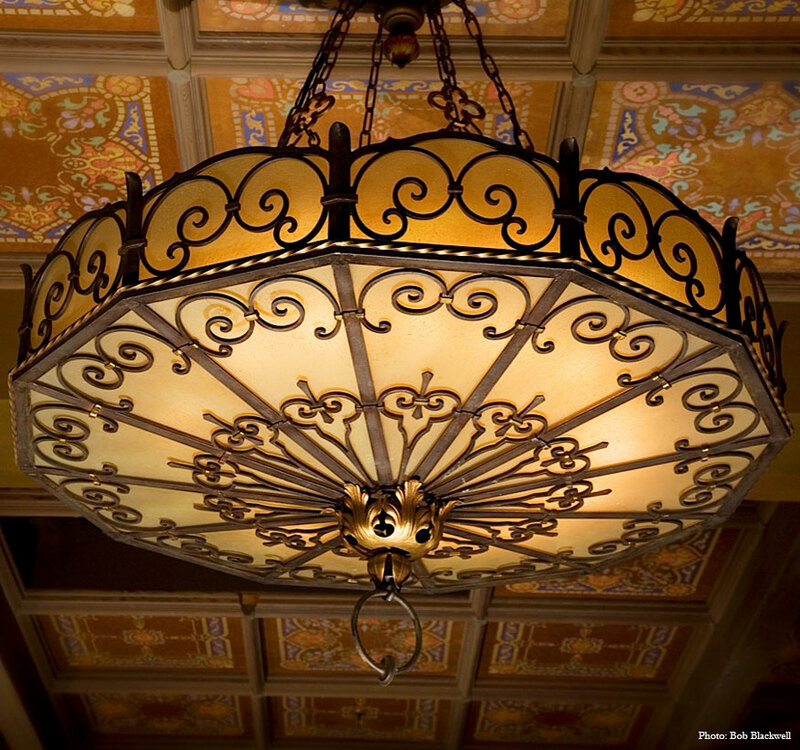 Ironwood Designs is a wholly owned subsidiary of Ornamental and Architectural Ironwork, Inc.
License No. 745740 © 2013 Ornamental and Architectural Ironwork, Inc. All rights reserved. 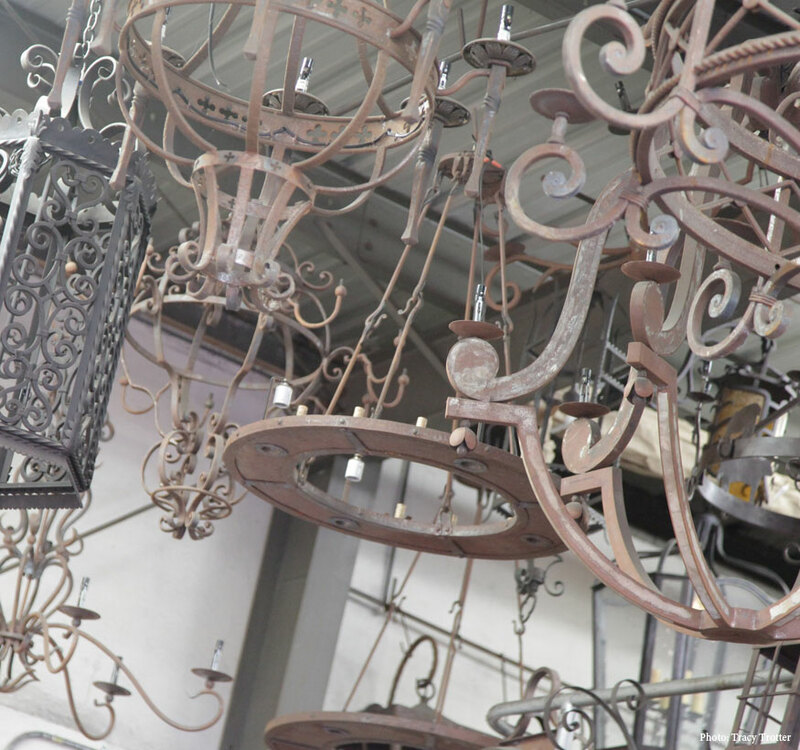 Wrought Iron Lighting Samples Ironwood Designs' shop is filled with an assortment of samples of lighting fixtures. They can be customized, or we can create something per your design. 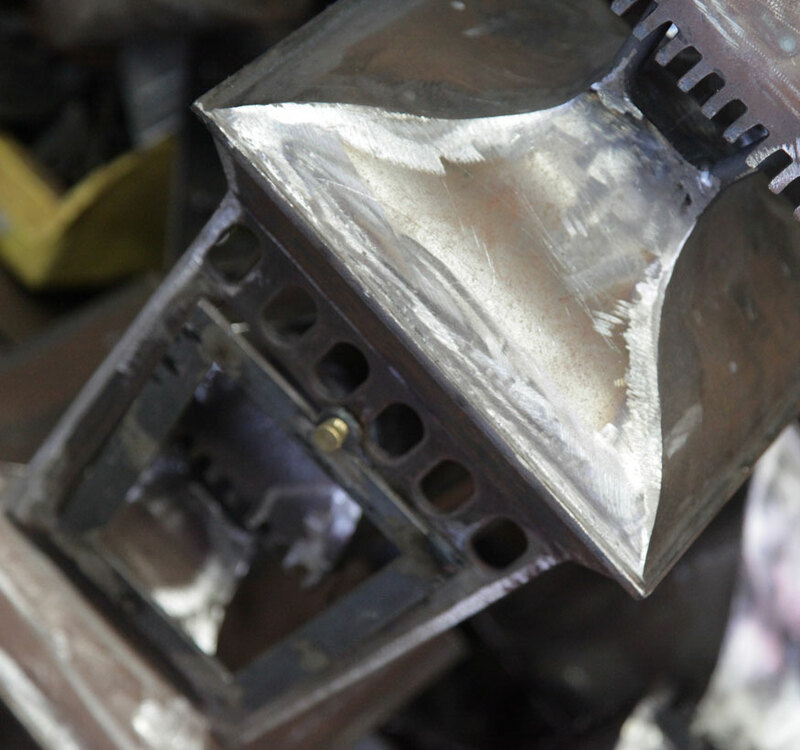 Unfinished Lantern This charming, custom iron lantern is waiting for a finish. Ironwood Designs offers a wide range of custom finishes on all our iron products. 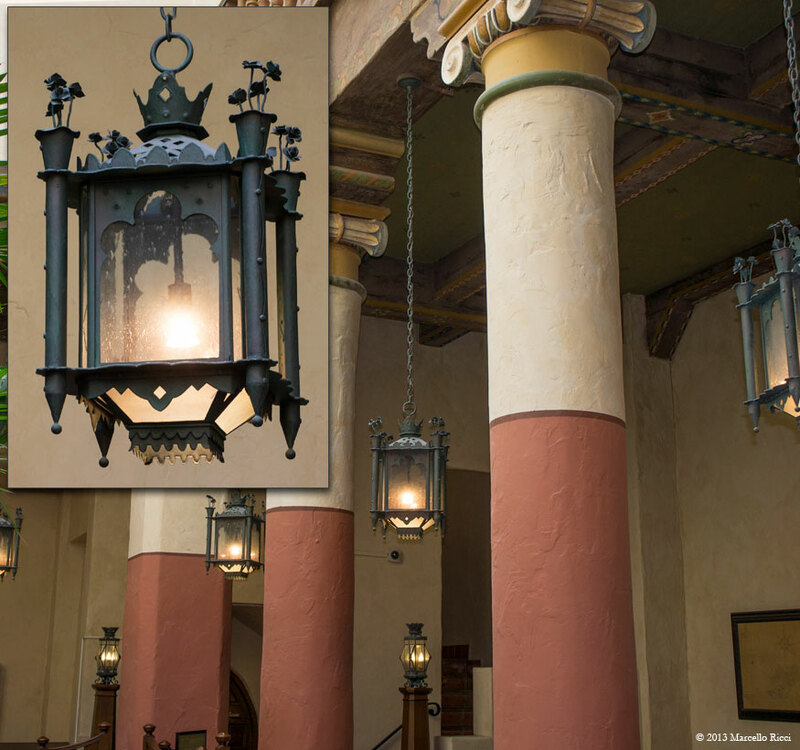 Wrought Iron Pendant Ironwood Designs created these heavily detailed period light fixtures as part of the historic renovation of the Santa Barbara Courthouse Hall of Records. Round, Wrought Iron Chandelier Many chandeliers, original to the 1930s Santa Barbara Junior High, were damaged or destroyed over time. Ironwood Designs restored, rebuilt and recreated them. Chandeliers in Theatre Foyer These chandeliers were created to match 1930s originals. 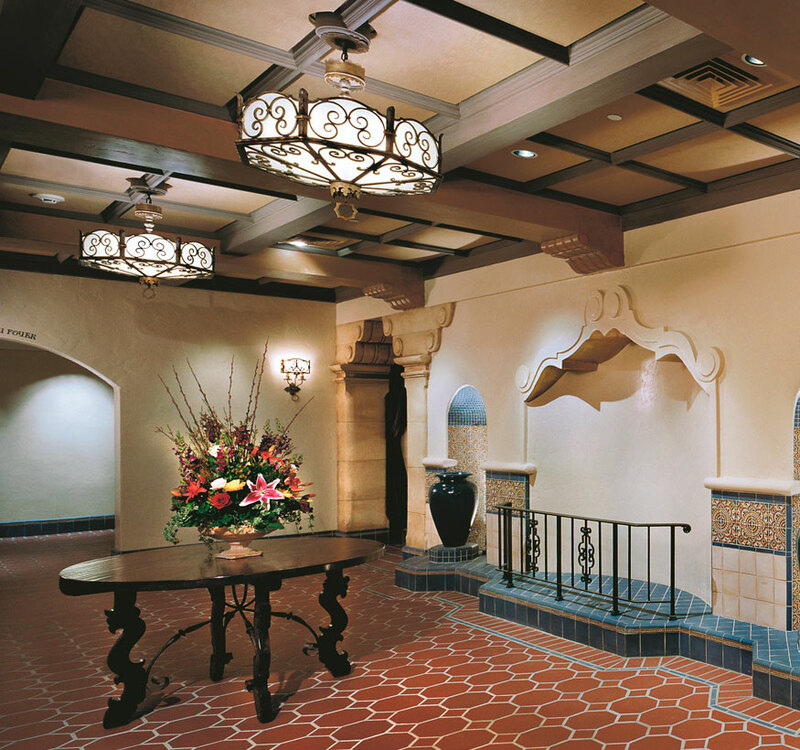 We were proud to contribute to the historic renovation of Santa Barbara's Marjorie Luke Theatre. 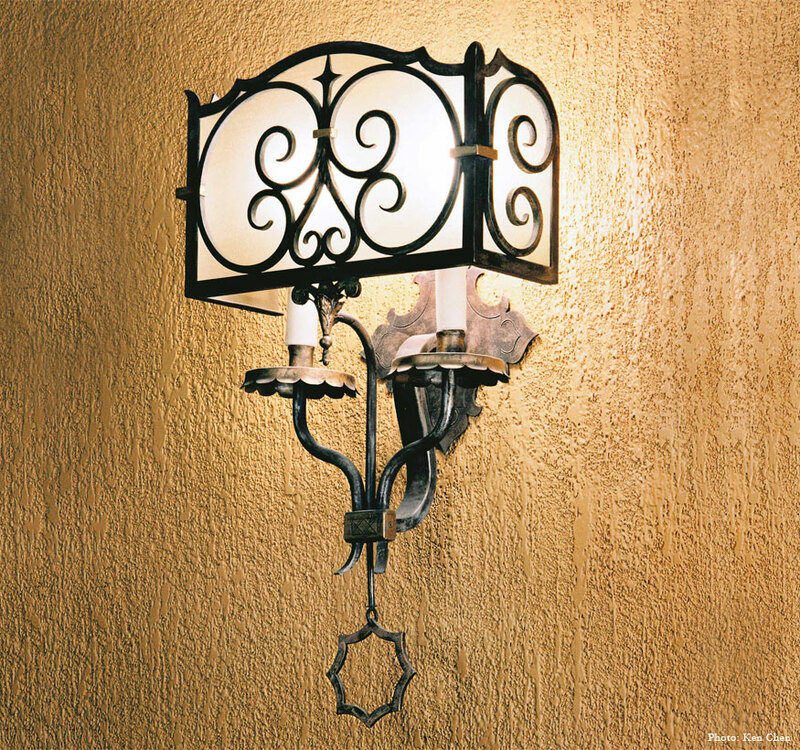 Wall Sconce Ironwood Designs created several new theatre and foyer wall sconces, appropriate to the 1930s period design of Santa Barbara Junior High School. Wrought Iron Chandelier with Blown Glass This wrought iron chandelier was made to hang over a bar in an Italian restaurant in downtown Santa Barbara. The glass center is custom blown. 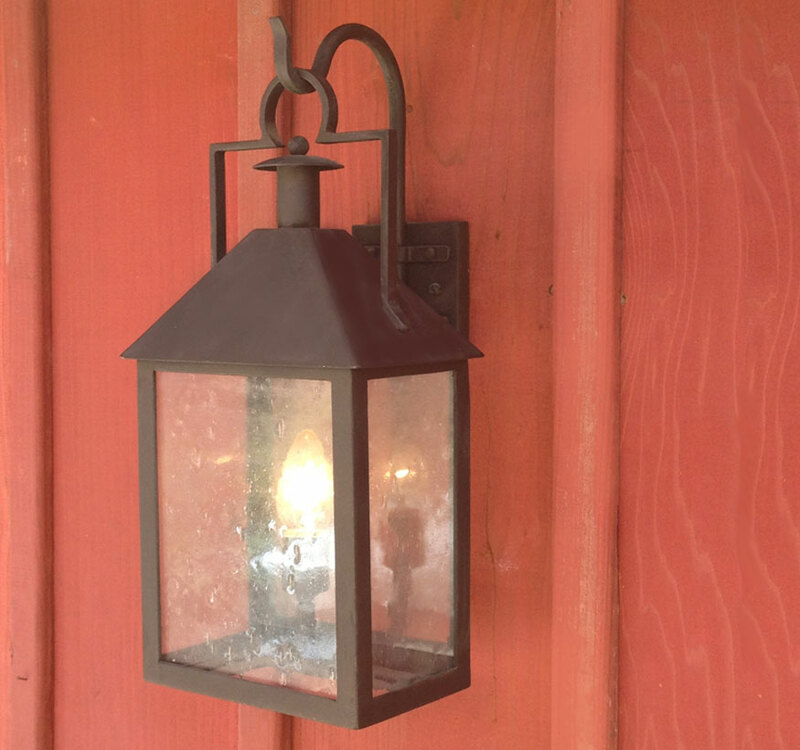 Barn Lantern Oh, the humble barn lantern – one of our favorites! We think this one is exceptionally charming. Custom wrought iron and finished with seeded glass. 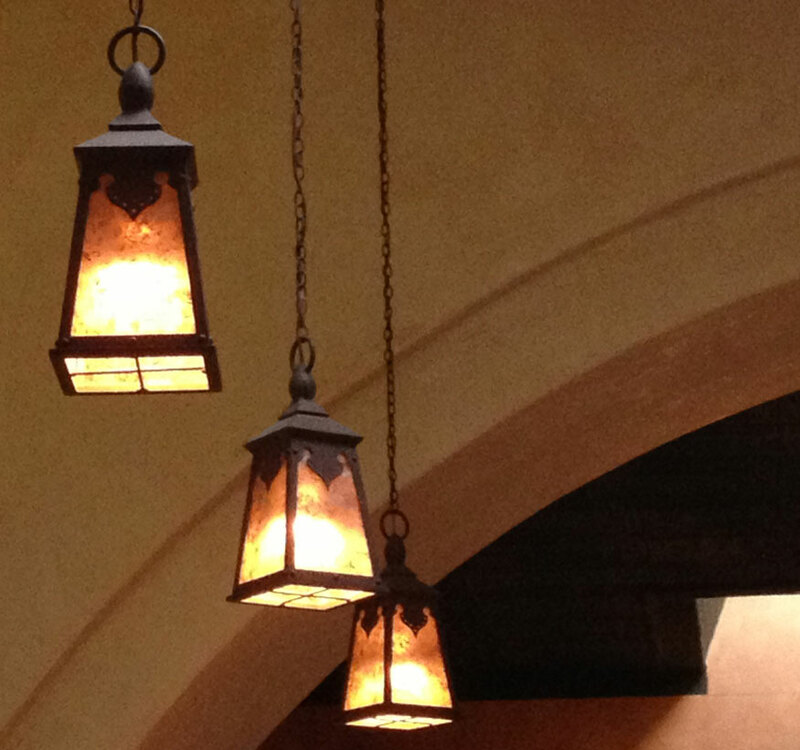 Spanish and Moroccan Flair Spanish and Moroccan notes are hit in the design of these pendant lights, seen hanging in a Southern Mediterranean restaurant in Santa Barbara.